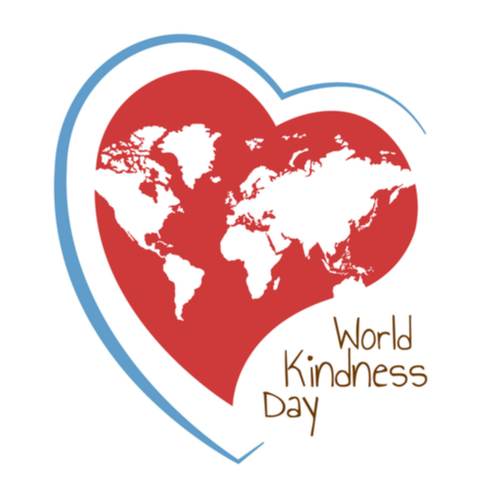 Happy World Kindness Day! On this day, people try to make the world a slightly better place by celebrating good deeds and doing something kind for a stranger. Acts of kindness don’t need to be over the top or a huge display, they just need to be done with good intentions. Saying a nice thing to someone can really brighten their day. So, we challenge you to compliment the next person you see. By the way, did we mention you look fabulous today! We all know the power of a crisp high-five. Did you know the gesture was invented by Los Angeles Dodgers outfielder Glenn Burke when he spontaneously high-fived fellow outfielder Dusty Baker after a home run during a game in 1977. P.S. For the best high five, remember aim for the elbow. You can be kind to the planet today by picking up some litter. So if you see a piece of rubbish on the floor, pick it up and put it in a bin. We’ll forgive you if you don’t pick up something really disgusting though. If you’re getting a fancy coffee or hot chocolate from your favourite coffee shop, offer to buy the person behind you their drink. It’ll only cost you a few quid and will really make someone’s day. We’re so busy these days and it’s easy to lose touch with friends. If there’s someone you haven’t spoken to in ages, send them a message and see how they’re doing. Did you know it takes 42 muscles to smile? So when you smile at someone you’re spreading happiness and exercising your face. Let us know what kind things you’re doing today, we can’t wait to hear about them!